We support commercial renewable energy development, develop and support European Projects, offer quality assurance to the renewable energy industry (Micro-generation Certification Scheme MCS) and provide advice and information to Government. The BHA promotes the hydropower industry in the UK and abroad and aims to increase the awareness of its quality and scope in the wider world. Hydropower is one of the most reliable, predictable and least environmentally intrusive of all renewable energies. Cambridge Cleantech supports the growth of environmental goods and services or “cleantech” companies by co-ordinating, supporting and promoting commercial opportunities for our members in Greater Cambridge, home to one of the fastest growing cleantech clusters in Europe. 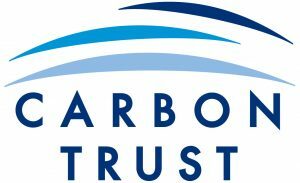 The Carbon Trust works with organisations to accelerate the move to a sustainable, low carbon economy. Our partners and clients are leaders in this transition – governments and multilateral organisations, businesses and the public sector. We cut through uncertainty to provide insights that support better decisions; we design and manage projects that overcome financial and behavioural barriers; we recognise clients through assurance and certification of positive outcomes. Cenex is an industry-led public-private partnership set up with the aim of assisting UK industry to build competitive advantage from the global shift to a low carbon economy. It supports innovation through a Knowledge Transfer Network dedicated to low carbon and fuel cell technologies and through brokering a programme of activities focused on technology demonstration, targeting early market adoption and supply chain development. The Chartered Institute of Architectural Technologists(CIAT) represents over 8,000 professionals working and studying in the field of Architectural Technology. CIAT is internationally recognised as the qualifying body for Chartered Architectural Technologists (MCIAT) and Architectural Technicians (TCIAT). Founded in 2008 in Paris, Cleantuesday supports the development of Cleantech and Renewable Energies: Startups, SME, large corporations, investors and local authorities. Since its creation, Cleantuesday has organized more than 250 events from China to Canada and from Morocco to Norway, reaching 20,000 professionals worldwide. It is in the context of the challenges associated with coal utilisation in the UK that the Coal Research Forum acts as a focal point, providing a means of communication between industry, universities and policy-makers. The Energy Systems Catapult supports innovators in unleashing opportunities from the transition to a clean, intelligent energy system. Part of a network of world-leading centres set up by the government to transform the UK’s capability for innovation in specific sectors and help drive future economic growth. By taking an independent, whole energy systems view, we work with stakeholders across the energy sector (consumers, industry, academia and government) to identify innovation priorities, gaps in the market and overcome barriers to accelerating the decarbonisation of the energy system at least cost. In doing so, we seek to open up routes to market for innovators, as well as supporting them to understand how their products, services and value propositions fit into the transforming energy system. EPSRC is the main UK government agency for funding research and training in engineering and the physical sciences, investing around £740 million a year in a broad range of subjects – from mathematics to materials science, and from information technology to structural engineering. 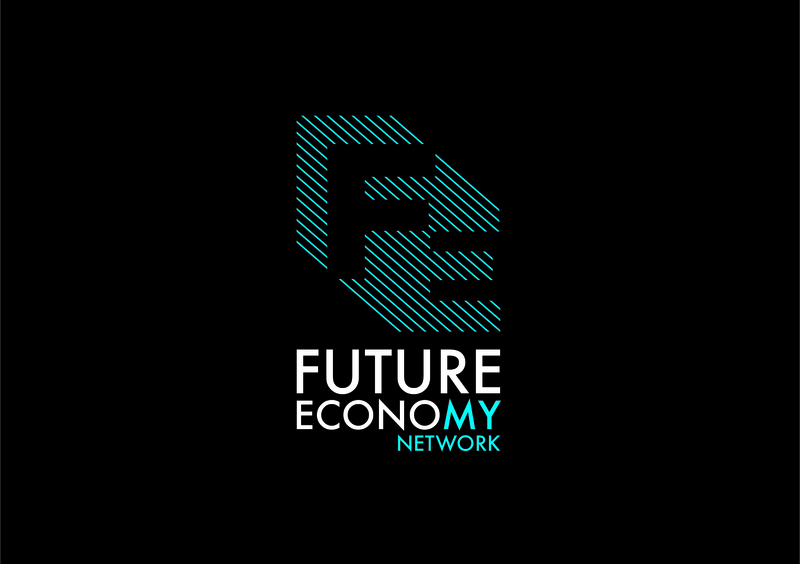 The Future Economy Network is an Events & Communications service, focusing on delivering sustainability related events and networking opportunities whilst providing an invaluable mechanism for strategic communication. The Future Water Association aims to shape the future of the water sector through taking a leadership role with Government, industry, members and the public; focusing on innovation and education; increasing engagement throughout the membership and across the sector; becoming the voice of the sector. It is a modern, innovative and dynamic organisation that inspires, supports and leads the water supply chain: informing the sector about opportunities, the regulators about challenges and Government about policy direction; innovating through Water Dragons and delivering the ‘Innovating the Future’ roadmap; influencing and inspiring the supply chain to develop innovative solutions and new ways of thinking to shape the future of the water sector. The Ground Source Heat Pump Association principle aims are: to encourage the growth and development of the ground source heat pump industry in the United Kingdom by promoting the efficient and sustainable use of ground source heat pumps, raising awareness of the benefits of ground source heat pumps, assisting in the development and practice of sound industry-related standards; to assist, encourage and support the setting up and maintaining of high standard training for the industry; to provide a forum for information interchange; to liaise with other related organisations in matters of benefit to the industry; to represent the industry in matters of local, national and international interest to members. The Heat Pump Association (HPA) is the UK’s leading authority on the use and benefits of heat pump technology and includes many of the country’s leading manufacturers of heat pumps, components and associated equipment. The Association influences legislation and other matters that affect the interests of either the industry in general, or its members in particular. In addition, the HPA co-ordinates technical and market research into areas of mutual interest, identified by members with the aim of improving market opportunities for members, at home and abroad. 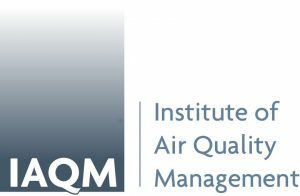 The Institute of Air Quality Management was launched in November 2002 to provide a focal point for all air quality professionals. Our mission is to be an authoritative voice by maintaining, enhancing and promoting the highest standards of working practices in the field of air quality and for the professional development of those who undertake this work. The Institute of Environmental Management and Assessment (IEMA) is a not-for-profit membership organisation established to promote best practice standards in environmental management, auditing and assessment. The Institute offers ongoing support to environmental professionals and aims to promote sustainability through improved environmental practice and performance. The Institution is a charitable organisation which promotes and raises public awareness of environmental science by supporting professional scientists and academics working in this crucial arena. Institute of Water is the only professional body concerned solely with the water industry. Formed in 1945, the purpose of IW is to provide unparalleled opportunities to help our members increase their knowledge about those topics that are crucial to the future success of the industry. Our vision is to be the Institution of choice for people engaged in the UK Water Industry by adding value and enjoyment to what they do. Knowledge Transfer Network (KTN) is the UK’s innovation network. It brings together businesses, entrepreneurs, academics and funders to develop new products, processes and services. KTN can help you develop ideas, expertise and technologies, that have the potential to be world-beating products. Central to what KTN does is the initiation and building of collaborations: creative, cross-sector, business, and investment collaborations. To find out more about our network and join our communities please go to www.ktn-uk.org. At London Community Resource Network (LCRN) we pioneer community-based solutions for waste prevention, recycling and re-use across the capital. As the only organisation of its kind, we act as London’s leading champion, catalyst and connector, helping grass-roots charities and other organisations to engage with their local communities and involve them in reducing, re-using, recycling and re-distributing resources – for maximum social, economic and environmental benefit. LCC provides a platform to assist with the promotion of the range of quality activities across the region, a means by which they can be effectively coordinated and programmes to identify and address where gaps exist in the support that is needed to effect a successful cleantech sector in a leading sustainable region. LCC has three principal objectives: to support the establishment and growth of cleantech businesses across the region; to attract cleantech businesses and investment from abroad and facilitate the expansion of UK cleantech businesses overseas and to accelerate the roll-out of sustainable solutions across Greater London. LCSW’s objective is simple: to help grow a prosperous and resilient low carbon economy for the region, by supporting and promoting the businesses located here, as well attracting new companies and inward investment. Our strength is in our network and the breadth of business types that it encompasses; we have representation from over 4500 companies covering a vast array of sectors and we actively encourage collaborative working. Membership is a great way of enhancing your company’s profile and ethos, benefiting from our networking and events and giving you the chance to promote your activities, news and successes. It offers a prime opportunity to position yourselves with clients, endorsing the sustainable credentials of your organisation. The Low Carbon Vehicle Partnership is an action and advisory group, established in 2003 to take a lead in accelerating the shift to low carbon vehicles and fuels in the UK and to help ensure that UK business can benefit from that shift. The LP Gas Association seeks to provide the voice of the LP Gas Industry in the UK and to support its members through the promotion of the benefits of LPG and of safe operations and standards throughout the Industry. Planet First is the sole provider of The Planet Mark. We have been providing sustainability consulting and certification services for over 10 years. Every organisation has the ability and responsibility to improve their environmental, social and economic performance. We believe that people make it happen. Looking beyond what is technically possible to deliver what is humanly possible, we make sure results are seen, and continuous improvement can be felt by employees and stakeholders throughout each organisation we work with. In sharing our knowledge and our range of toolkits and resources, as well as our expertise and belief in what we do with our certified businesses, we will begin to change organisations’ values, attitudes and sense of responsibility towards sustainability. Being a Chartered Environmentalist (CEnv) or Registered Environmental Technician (REnvTech) is about having the professional knowledge, experience and commitment to apply sustainable thinking throughout your daily working life. It is an opportunity to stand out from your peers and showcase environmental knowledge within your work. The Society for the Environment is the body responsible for the registration of environmental professionals. We are the custodian of the CEnv and REnvTech registers and since 2004 have established a sound platform as the body tasked with championing and registering the expertise of environmental professionals. We have registered over 9,000 environmental professionals to date and new registrants are continuing to join the register. Working as a partnership with 24 Licensed Bodies, we ensure the quality, relevance and awareness of our registrations and enable our partners and registrants to work together. We are in a unique position, bringing together a range of disciplines and sectors to reflect the multi-disciplinary practice of environmental professionals. It will be our mission at the Sustainable Energy Association to promote a key message – namely that almost all demand side solutions cost less during their life time than almost every “big energy” solution. We will do this in a way that is founded on sound economics, properly researched costs, and constructively across the political spectrum. Sustainable Energy Ireland (SEI), was established in 2002 as Ireland’s national energy agency. Our vision is that Ireland will become a world leader in sustainable energy and that the authority be a global leader in its field. SEI’s activities are directed across the economy in terms of improving energy efficiency, advancing the development and competitive deployment of renewable sources of energy and combined heat and power and reducing the environmental impact of energy production and use, particularly in respect of greenhouse gas emissions. SWIG was conceived in 2008 by a group who came together with the idea of applying some ‘whole system thinking’ to sustainable water management; i.e. pulling together several strands to give a better and more sustainable result. Participants include manufacturers, installers, professionals, consultants, designers, academics and others from across industry. Some of them are thought leaders but all have seen the relevance of a group that pulls rather than pushes. Naturally there are roles for other strategic organisations that shine their light along the path. However, there are other crucial roles for those who turn the strategies into practical realities by walking that path every day. The UK Energy Research Centre is the focal point for UK research on sustainable energy. It takes an independent, whole-systems approach, drawing on engineering, economics and the physical, environmental and social sciences. The UK Noise Association brings together a unique coalition of key organisations lobbying on different aspects of noise. National and international agencies expect the UK to become more prone to both floods and droughts, under the twin impacts of population growth and changes to rainfall patterns caused by climate change. The UK Rainwater Management Association brings together the interests of the many private-sector businesses, public-sector authorities and agencies, water utility companies, and the many other organisations engaged in avoiding future floods and droughts. The World Society of Sustainable Energy Technologies is a not for profit organisation. The Society plays a key role in promoting sustainable energy technology and developing partnerships between academic institutions and industry. WSSET supports its members in the advancement of sustainable energy technologies in various ways, including; hosting international seminars and conferences, publishing technical journals and encouraging collaborative research projects in sustainable energy. Membership to the society is free, and quarterly published newsletters keep members up to date with the latest news and events regarding WSSET.